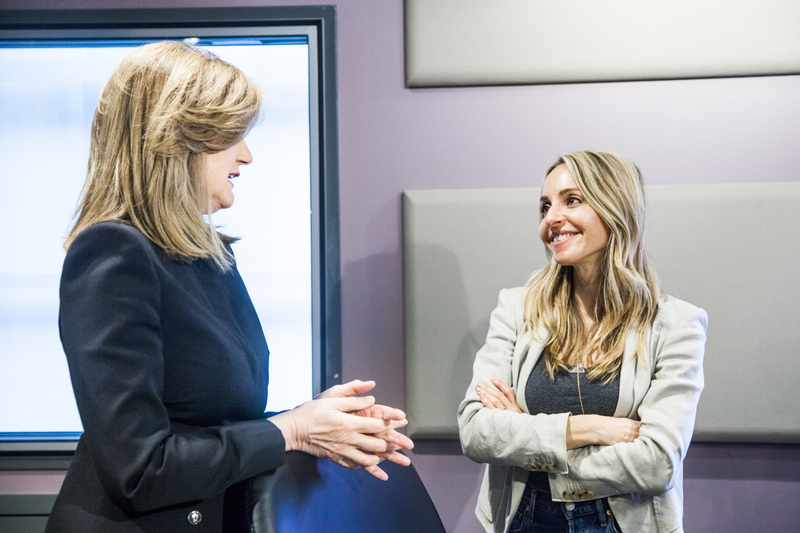 On the latest episode of The Thrive Global Podcast with iHeartRadio, Thrive Global founder and CEO Arianna Huffington sat down with motivational writer, international speaker and author Gabby Bernstein to talk about everything from spirituality, meditation and self doubt to her phone habits, social media and finding happiness. Bernstein, the author of the number one New York Times bestseller The Universe Has Your Back and four additional bestsellers focusing on self-improvement, has been featured in a variety of media outlets including Elle, Wall Street Journal, and Oprah’s Super Soul Sunday. She told Huffington that she started to write her new book, Judgment Detox, in the midst of a particularly judgmental time in America: the 2016 election. Judgment can manifest in many ways, whether you’re directing it toward yourself or others. That’s especially true in the age of social media.